At an event in San Francisco at Blue Bottle Coffee, Square debuted a stand built specifically for the iPad, which turns the device into a card-swiping register. Hardware has always been a part of who we are and who we want to be, says Jack Dorsey, CEO and co-founder of Square. “We wanted to build software and hardware that matches,” he says. You can check out a video of how Stand works below. While merchants using the iPad have been connecting to Square using the traditional Square card swiper, this product is targeted specifically for the iPad and turns the iPad into a full-fledged register. The iPad focus is because customers using the device now represent nearly 50 percent of total payments processed by Square. The average payment volume processed by these customers is more than double the average volume processed by Square customers using smartphones. 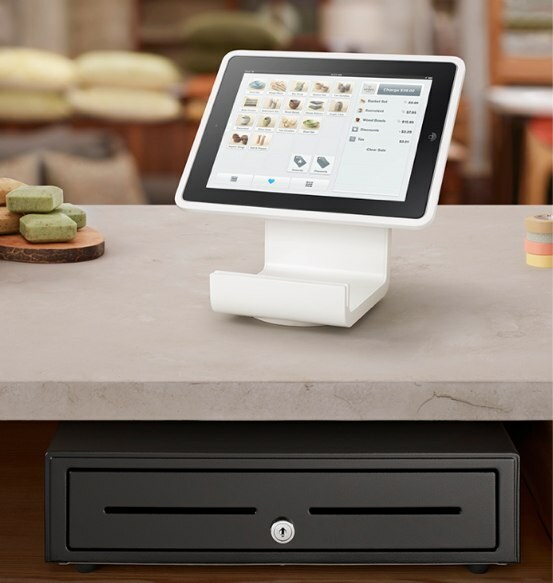 Square Stand features a card reader and connects to the hardware accessories businesses need, including a receipt printer, kitchen printer, cash drawer and barcode scanner. Merchants can lock their iPads in place and secure the stand to their countertops. The device also allows the iPad to tilt and rotate. Additionally, Square Stand works with an iPad 2 or 3, with a version for iPads with Lightning connectors available later this year. Dorsey says this hardware is about not having merchants compromise — this acts as a full-fledged register. He adds that this also allows merchants to process payments faster, especially for high-volume merchants. The company focused on the operating system for the register, he says, as opposed to replacing barcode scanning or cash drawers. 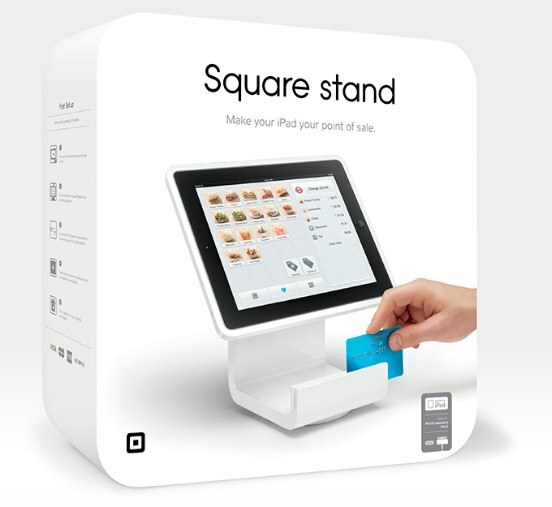 Square Stand costs $299 and is available for pre-order today at squareup.com/stand. Customers will also be able to purchase Square Stand in Best Buy stores and other select retailers starting the week of July 8. Square says it is now processing over $15 billion in payments on an annualized basis, excluding Starbucks. Square’s point-of-sale technology and iPad-powered register app, Square Register, got a big update a few weeks ago targeted at serving restaurants better. The company, which raised $200 million in new funding last fall, has made some major hires of late. Last week, the company announced that Demetrios J. Marantis, who was President Barack Obama’s Acting United States Trade Representative, and the U.S.’s chief trade negotiator, as head of international government, regulatory and policy work. Additionally, Square hired Alex Petrov, a former PayPal exec, as vice president of Partnerships. The company also brought on a new global business lead from Google.